When it comes to feeding your dog, there are some decisions you need to make. Proper nutrition is one of your dog's basic needs, and it's about more than just the brand of dog food. 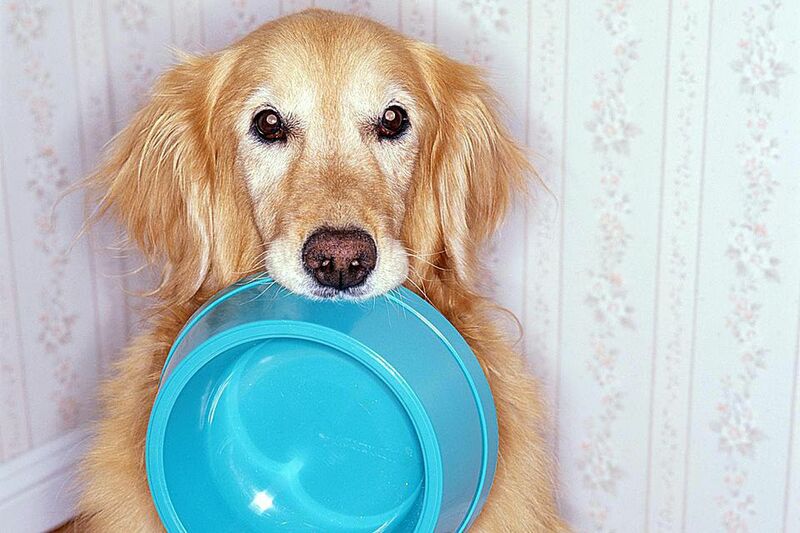 Check out the answers to some basic questions many dog owners have about have about feeding. What Type of Dog Food is Best for My Dog? Because there are so many commercial dog food brands available, choosing a dog food can be quite overwhelming. All commercial diets with the AAFCO label are considered "complete and balanced" for dogs. This means that the diet sustains life and meets a dog's basic nutritional needs. However, not all dog foods are created equal. Many experts agree that the quality of ingredients plays a major role in a dog's health and well-being. How important to you is it to feed the most natural, healthiest ingredients? If this is very important, look into natural/holistic foods or therapeutic veterinary diets. Better yet, consider a home-prepared diet (with guidance from your vet, of course). How much does cost factor into your decision? Natural and holistic diets are usually in the higher price range. However, economy diets are often made with lower quality ingredients. If you are on a budget, you may need to find a mid-level food to feed. How much time are you willing to spend preparing the food? If you want to save money and have the time, a home-prepared diet may be the healthiest option. Picky dogs might do best with canned food or home-cooked diets. Overweight dogs or those with health conditions may benefit from special veterinary diets or home-cooked diets. Choosing Commercial Diets: To compare foods and determine which is best for your dog, talk to your veterinarian first. Ask for input from dog professionals and even other dog owners. Do your own research on sites like DogFoodAdvisor.com. When in doubt, ask your vet for a referral to a veterinary nutritionist. Remember that opinions on canine nutrition tend to vary greatly. Choosing Home-Prepared Diets: Rather than choosing a commercial diet, some owners opt to go for homemade diets. If you try this option, make sure you work with your veterinarian to create a complete and balanced diet that is customized for your dog's needs. To begin developing a home-prepared diet for your dog, check out BalanceIt.com and/or PetDiets.com. Failure to feed a complete and balanced diet can lead to major health problems for your dog. A dog food calculator can tell you approximately how many calories per day your dog needs. Talk to your vet about your dog's body condition and ideal weight. How Often Does My Dog Need to Eat? Most experts agree that twice-daily feeding is best for most adult dogs. Once-a-day is a long time for a dog to go between meals. Puppies should be fed 3-6 times per day (small puppies need food more often to prevent low blood sugar). Talk to your vet about an appropriate feeding schedule for your dog. What Type of Dog Bowl Is Best? Experts recommend avoiding plastic bowls for a dog's food and water. This is because your dog can develop an allergic reaction or sensitivity, resulting in a rash or type of acne on the chin and face. Not only is the plastic a potential irritant, but the bowl may harbor bacteria or other microbes that affect your dog. Plastic bowls are harder to keep clean because of microscopic nooks and crannied where germs can live. It's best to use metal or ceramic bowls for dog food and water. There are plenty of options for yummy dog treats and dog chews. Make sure to choose safe options for your dog. Also, remember that treats and chews are supplements to your dog's diet and should never make up more than about 10% of your dog's daily caloric intake. What Foods Should I Avoid Feeding?